To some people, the term “craft beer” implies that the brew is made in limited quantities and implies some level of independence from industry giants like MillerCoors and AB InBev. To others, it may mean just any brand that runs fewer than 10 commercials during your average Sunday NFL game. A recently filed lawsuit raises the question of whether anything made by these giant beer behemoths can justifiably be labeled a craft beer. The potential class action complaint [PDF], filed late last week in a California state court in San Diego, alleges that MillerCoors violated multiple state laws by claiming that its Blue Moon brand is a craft beer. The complaint then cites the Brewers Association’s standards for what qualifies as a craft beer: That fewer than 6 million barrels are produced annually; that a non-craft brewer can only own up to 25% of the supposed craft brewer; and at that the beer is to be made using only traditional or innovative brewing ingredients. Of course, these guidelines are in no way legally binding. The Association has previously called out MillerCoors for its attempts to distance Blue Moon from the parent company in an attempt to give it the aura of being an independent product. 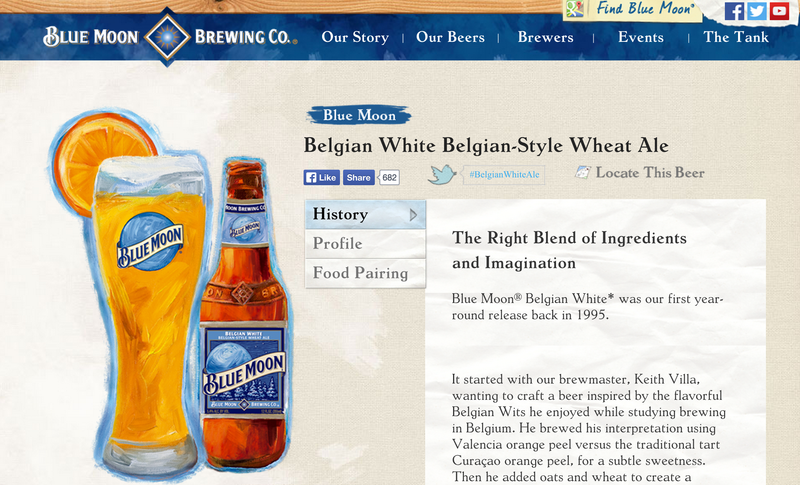 And it’s this alleged attempt to hide the macrobrew parentage of Blue Moon that is at the core of the lawsuit. The plaintiff acknowledges that there is a Blue Moon Brewing Company — a “small, limited capacity brewery” — but that this operation, located inside the Coors Field baseball stadium, is not the source of any Blue Moon sold in stores. Through these alleged deceptions, the plaintiff claims that MillerCoors is able to charge around 50% more than it would if the company were transparent about Blue Moon’s corporate ownership. The complaint seeks an injunction to stop MillerCoors from marketing Blue Moon as an independent craft beer operation. It also seeks damages for a class of plaintiffs that would consist of “all consumers who purchased Blue Moon beer from a retailer within the state of California” for the last four years.